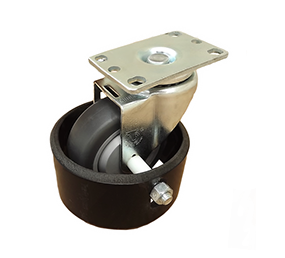 Caster guards and tool tray included. 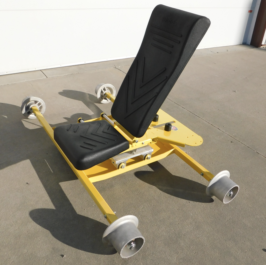 Our new Ergonomic chair is mounted on rail wheels to provide access for repairs under freight cars or locomotives. 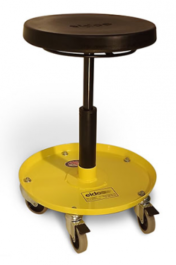 It is equipped with a swivel that provides 360 degrees of rotation, and glides that allow 12” of side-to-side movement. 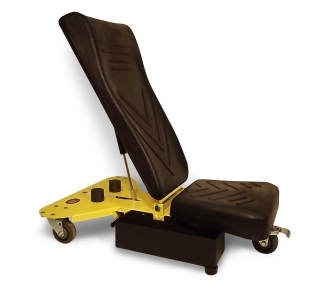 The back rest is fully adjustable, and features a gas strut to allow simple placement. 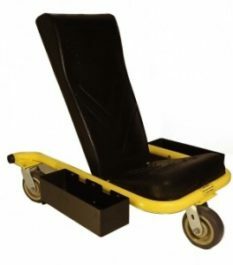 Includes manual wheel brake and fire resistant cushion material.